You won't find KILN DRIED Cherry anywhere else on Long Island. 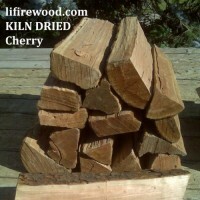 It is a mid-range hardwood that is easy to light and burn. You may have burned "seasoned" Cherry in the past, but just wait until you try our KILN DRIED Cherry. 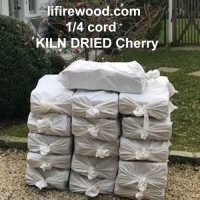 It will not disappoint you and quantities are very limited, so fill your ( 3 x 8 ) rack with a true 1/4 cord while supplies last. Delivery: 2.0 cu ft bag x (16) ?